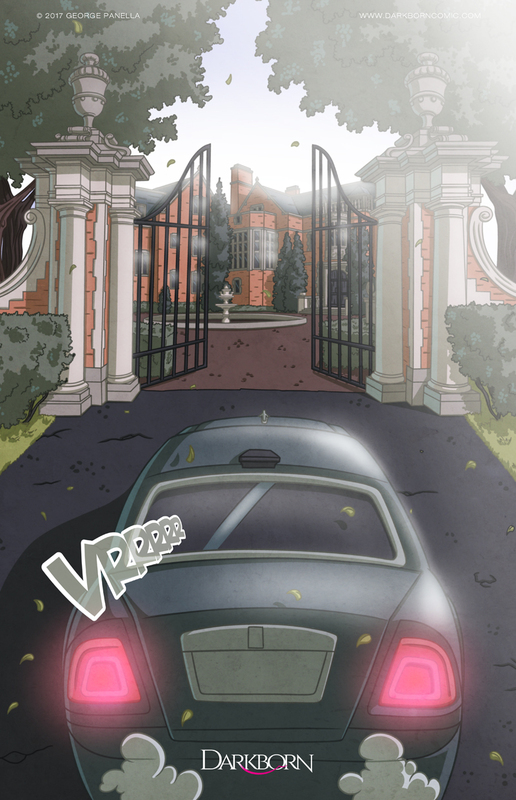 One can only imagine what Azia is thinking as they pull up to this secluded mansion. This page isn’t really pushing the story forward that much, but I wanted it to have decent impact. Backgrounds take me forever. >< Be sure to vote as often as you can to help the comic grow.